Where can the Diploma in Image Consulting course take me? 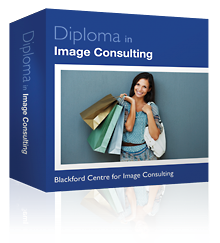 The Diploma in Image Consulting is the doorway to the career of your dreams. Imagine earning an income whilst doing what you love: shopping and giving advice! This is what the Diploma in Image Consulting will do for you. Your Diploma will prepare you to work as a self-employed image consultant, personal stylist, personal shopper, colour consultant or fashion consultant. There is demand all over the world for qualified Image Consultants. From New York to London, Hong Kong to Moscow, men and women all over the world use image consultants to help them make the most of their appearance. The markets you can target as a qualified image consultant are vast. You could be advising a stay at home mum on what to wear one day, and the next you could be shopping with a business person who needs to look their best for a presentation. As a qualified image consultant you’ll be able to confidently advise on what colours suit a person, their hair style, their personal style, which accessories to use, the shapes of clothing that suit them best, what looks right on them for their age and how to dress with confidence.